One this page you will find various free resources created by members of North Essex Astronomical Society. 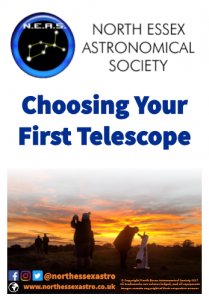 Choosing Your First Telescope (Download): If there is one question we get asked more than any other, it is which telescope to choose. There isn’t one ‘best’ telescope for the beginner, or anyone else for that matter. It all depends on your needs and circumstances. Our short guide explains telescope basics, asks you to answer a few simple questions to narrow down the choices and then presents a list of possibilities. There’s something for everyone and for every budget. 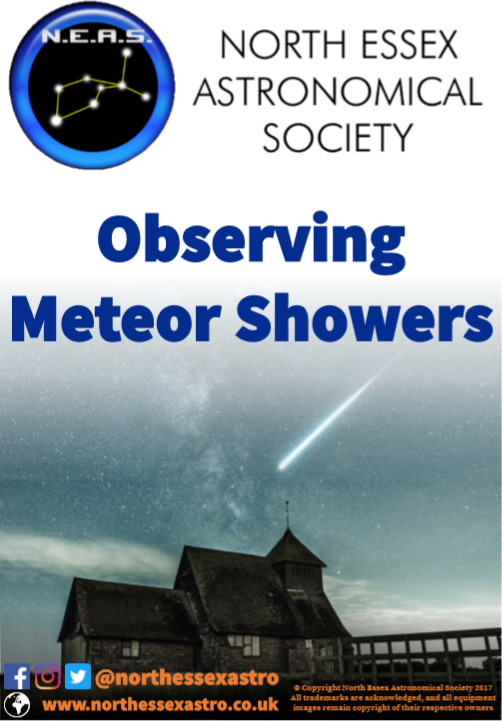 Observing Meteor Showers (Download): Stories about spectacular meteor showers often appear in the news. We know that editors like to exaggerate a bit to entertain their readers, so what will you see in reality? In this free guide, we separate fact from fiction by explaining what a meteor is and how you can easily go about observing them. Meteor watching is fun for all the family and best of all it doesn’t require any specialised equipment. 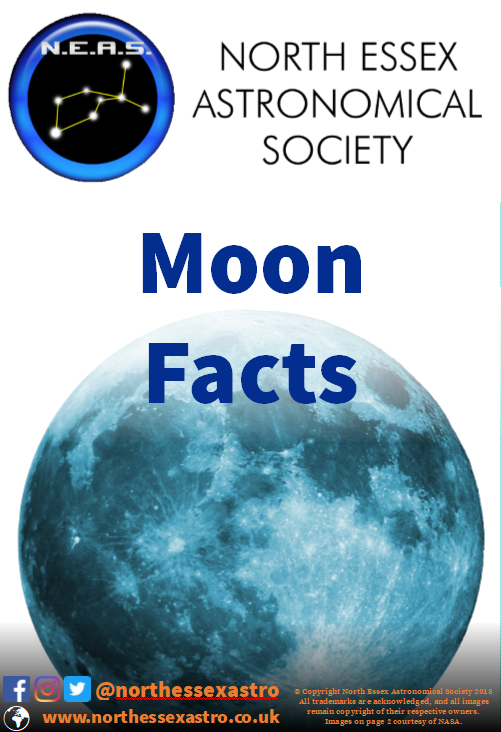 Moon Facts (Download): A one page fact sheet for kids. The Moon is usually the first thing people look at through binoculars or a telescope. Here we cover some key facts about Earth’s Moon to make the experience more fun and interesting. Suitable for ages 3 – 99.